We took the most famous name in motorcycling and gave it some extra 60s style.^^Still distinctly a Bonneville with its smooth pulling, fuel injected parallel twin. 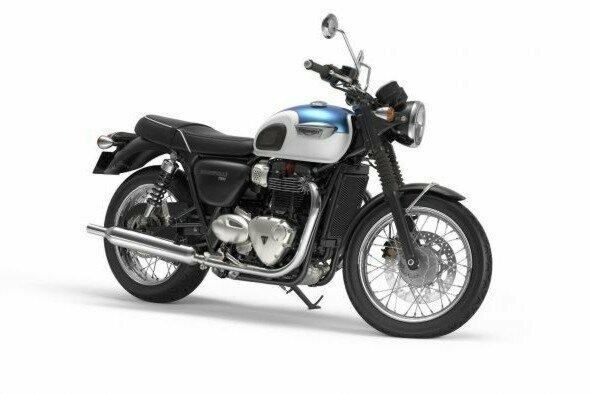 We?ve added some visual tweaks like twin peashooter exhausts, black instrument surround with tacho, a Triumph logo on the seat, two-tone paint, spoked wheels and fork gaiters.^^Offer ends 30/04/19^^Please note this price is for Queensland only. This price may not include all features and colour options. Please contact your local Triumph dealer for location specific pricing.^^*Ride away price includes all offers, cashback, rebates and discounts.